Styled with cole pant and larry turtleneck . 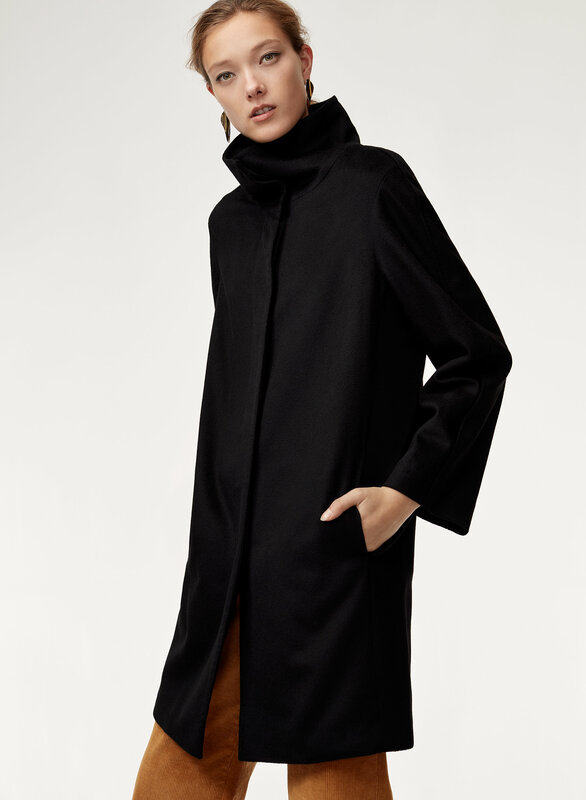 Made with 100% virgin wool from a family-owned mill in Italy, the Brody is a softened take on the classic cocoon coat. 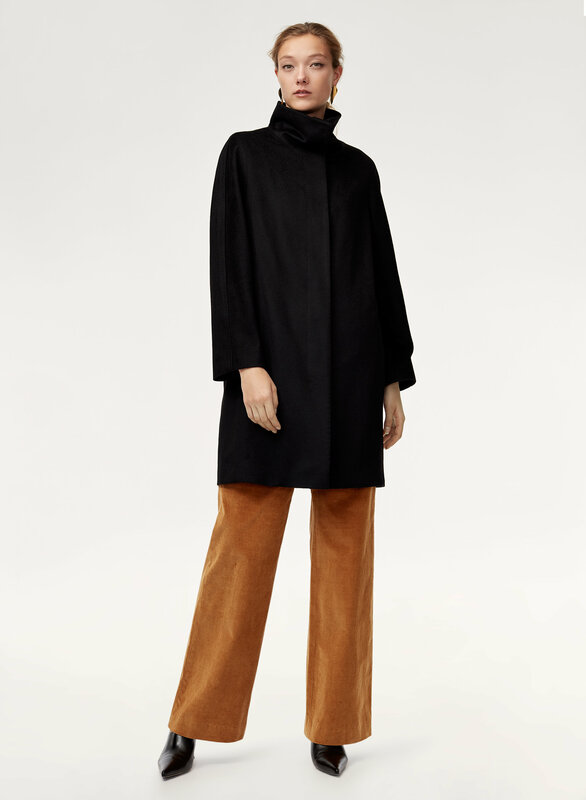 It has a high neck and wide, bracelet-length sleeves. Soft and pliable, the wool fabric was woven and finished with dried thistle flowers to achieve the wavy, pebbled zibellino texture. Perfect for a special occasion. It’s a bit long on my short frame. 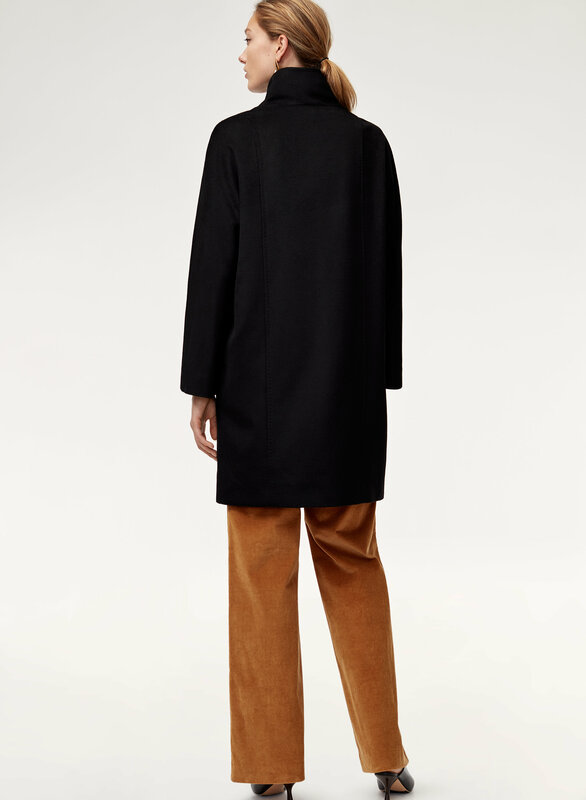 Versatile, warm and elegant coat. 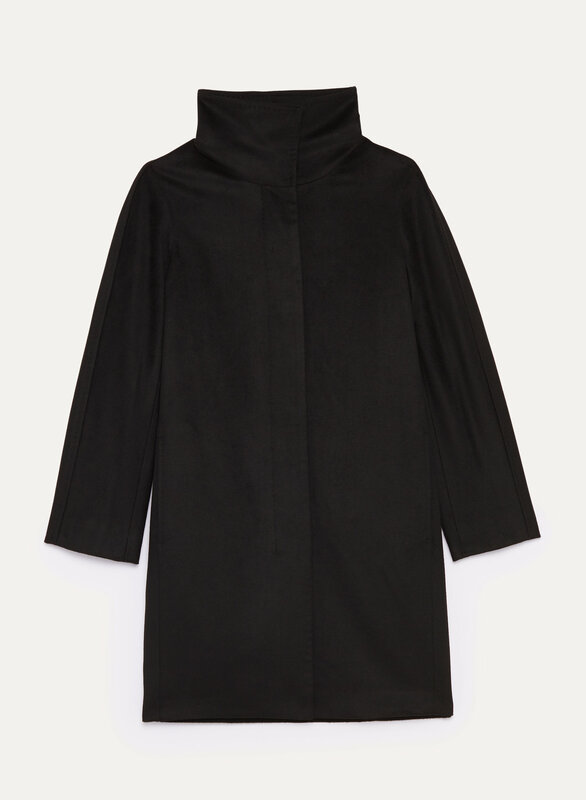 This is a classic simple black coat that is thin but warm. A staple coat that I would definitely recommend. Nice color but a little large for me. I'm a small woman so for me it's a little large. The fabric is nice but theTell us your thoughts in 20 characters or more. Consider the fit, fabric and quality of the product, and whether you would recommend it to a friend. Very comfortable, feels and looks great! It’s a beautiful material and detailed coat. Sizing is off and I’ll need to return. So sad. Picked this coat up on sale after Christmas - what a deal!! Beautiful, soft wool. It’s Gorgeous - classic and elegant style...timeless!